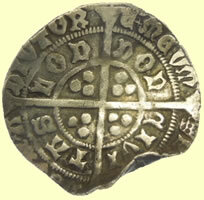 In 1386 Henry joined a group of opposition leaders - the Lords Appellants - who outlawed Richard's closest associates and forced the King to accept their counsel. 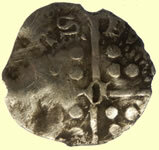 In 1398 Richard took revenge, banishing Henry after a court struggle. 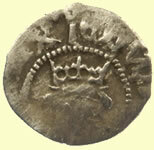 The following year, John of Gaunt died. 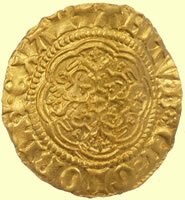 Richard seized the family estates, depriving Henry of his inheritance and prompting him to invade England. Richard surrendered in August and Henry was crowned the following month. 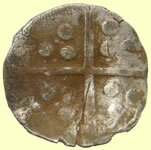 His first task was to consolidate his position. 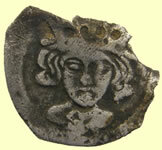 Most rebellions were quashed easily but the revolt of Owen Glendower was more serious. 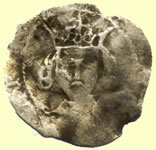 Glendower aimed to install the Earl of March, Richard II's legitimate heir, as king. 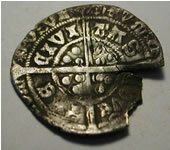 He captured Edmund Mortimer, March's uncle, and persuaded him to join them. 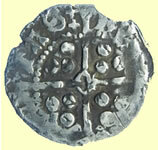 Glendower then allied himself with Henry Percy, Earl of Northumberland, and his son Henry, called Hotspur. 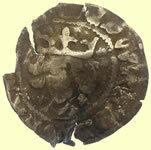 Hotspur's brief uprising, Henry's most serious challenge, ended when the King's forces killed him in battle near Shrewsbury in July 1403. 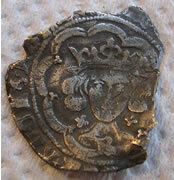 Northumberland's rebellion in 1408 was quickly suppressed and was the last armed challenge to Henry's authority. 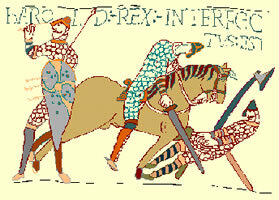 However, he also had to fight off Scottish border raids and conflict with the French. 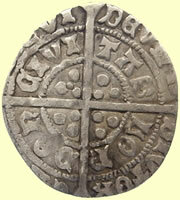 To finance these activities, Henry was forced to rely on parliamentary grants. 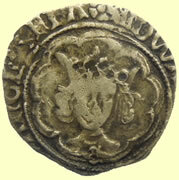 From 1401 to 1406 Parliament repeatedly accused him of fiscal mismanagement and gradually acquired new powers over royal expenditures and appointments. 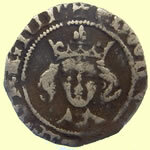 As Henry's health deteriorated, a power struggle developed between his favourite, Thomas Arundel, archbishop of Canterbury, and a faction headed by Henry's half brothers and Prince Henry. 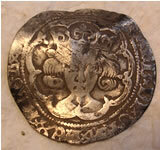 From 1408 to 1411 the government was dominated first by Archbishop Arundel and then the Henry. 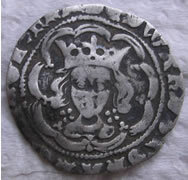 Argument raged over the best strategy to adopt in France, where civil war was raging; Henry wanted to resume war in France, but the king favoured peace. 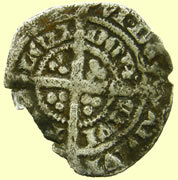 In 1411 the king recovered and the Prince of Wales was dismissed from the council. 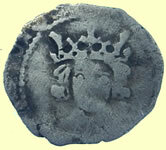 Uneasy relations between the prince and his father lasted until Henry IV's death in 1413. 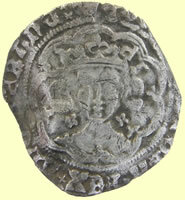 King Edward IV was was declared successor to Henry VI in 1460. 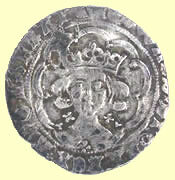 Following York's death that December, Edward defeated Henry's Lancastrian supporters before being crowned Edward IV in June 1461. 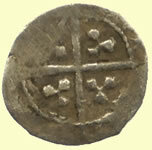 Until 1470 he concentrated on suppressing opposition to his rule. 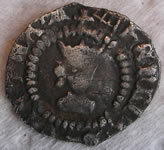 However, his real problem lay in the Earl of Warwick, 'the Kingmaker'. 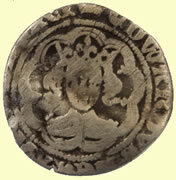 Warwick expected his support in 1461 to bring him power. 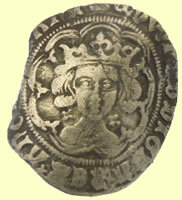 However, Edward, while apparently interested only in women and pageantry, was determined to rule independently. 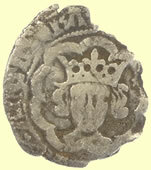 In 1464 he embarrassed Warwick, who was planning a political marriage for Edward, by disclosing his secret marriage to Elizabeth Woodville, a commoner. 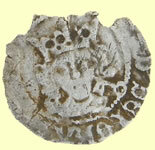 By showering favours on Elizabeth's relatives, Edward began to build up a faction to counter Warwick. 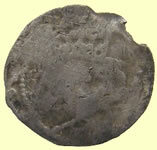 Gradually Warwick lost his influence. 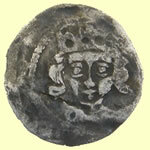 Humiliated, he allied himself to Edward's brother George, Duke of Clarence, and Henry VI's queen, Margaret of Anjou. 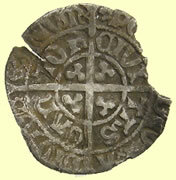 Fleeing to France in October 1469, he and Margaret's Lancastrian forces gathered, invading England in September 1470. 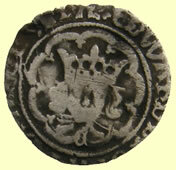 Edward fled to the Netherlands until March 1471, when he and his brother Richard, duke of Gloucester, returned to England. 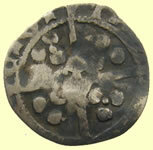 Taking London, he defeated and killed Warwick at Barnet before defeating the Lancastrians at Tewkesbury. 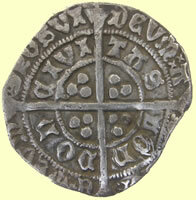 Henry VI was put to death in the Tower. 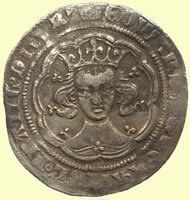 The second part of Edward's reign, from 1471 to 1483, was a period of relative order, peace, and security. 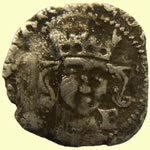 He was popular, had a large personal income and was less in need of parliamentary grants than his predecessors, so levied fewer taxes and called Parliament only six times. 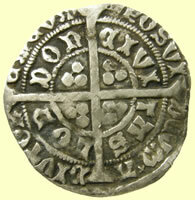 Commercial treaties, external peace and internal order revived trade, benefiting customs duties and other revenues. 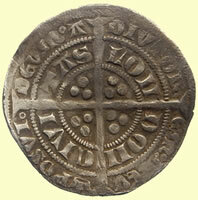 Councils were set up to govern in the Marches of Wales and in the north. 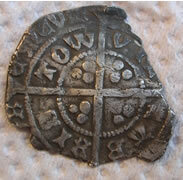 Edward died in 1483 and Edward and Richard were left in the protection of their uncle Richard, Duke of Gloucester. 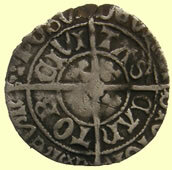 He housed them in the Tower of London, where he probably had them killed. 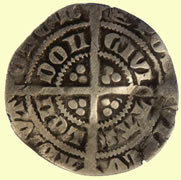 On the day after the date set for Edward V's coronation Parliament unanimously requested the Duke to take the throne. 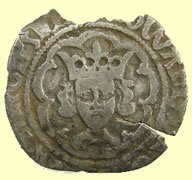 He accepted and was crowned Richard III. 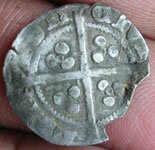 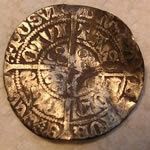 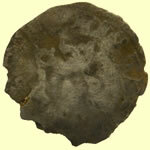 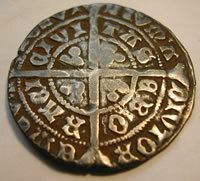 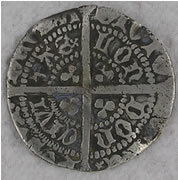 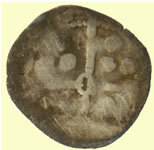 Edward IV 1461-1470 AD hammered silver penny Durham (CIVITAS DVNOLIN) Type IV Rose in centre of reverse. 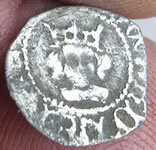 Note the 4 pellet stops both sides of REX on obv legend - not listed in refernence books, Legend EDWARD REX ANGLIE is an Edward IV Durham issue. 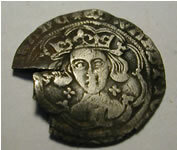 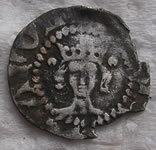 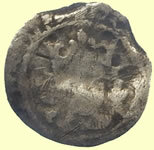 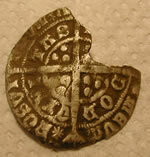 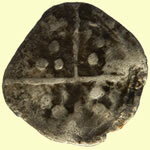 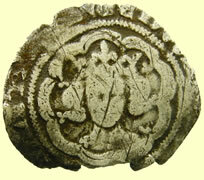 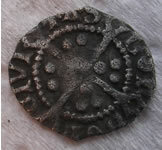 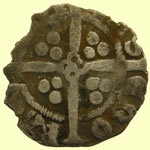 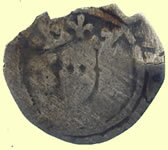 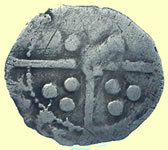 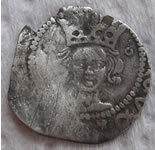 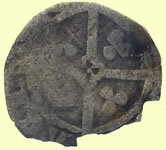 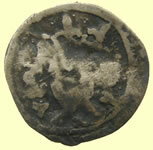 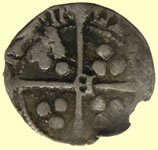 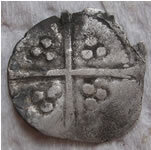 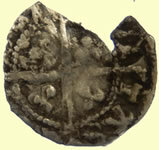 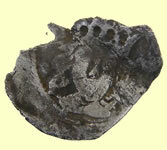 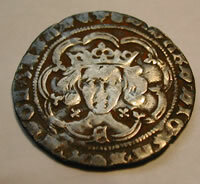 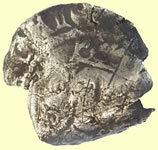 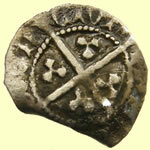 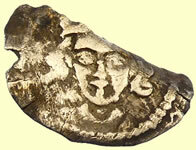 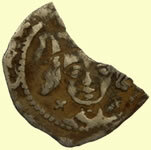 1461 Edward IV hammered silver penny - York Archiepiscopal Issue - Type VIIiii - quatrefoil each side of neck - Quatefoil - with-pellet at centre of reverse. 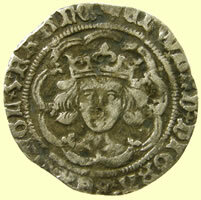 King of England from April to June 1483, he was deposed and probably murdered by Richard III, before his coronation. 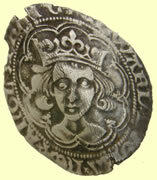 The eldest surviving son of Edward IV, he was born when his father was in brief exile in Holland after being deposed by the Earl of Warwick. 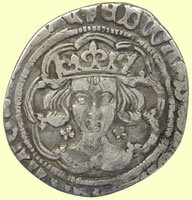 After Edward IV had reclaimed his crown, young Edward was made prince of Wales in June 1471. 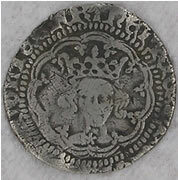 He was sent with his mother to Ludlow in 1473 to be titular ruler of Wales and the Welsh Marches, staying there for much of the rest of his father's reign. 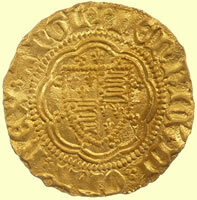 Upon Edward IV's death in April 1483, Edward became king, aged 12. 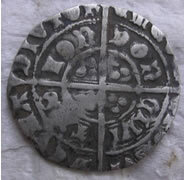 His uncle Richard, Duke of Gloucester, was appointed protector. 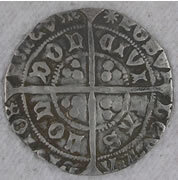 Conflict between Gloucester and the Woodville nobles who dominated Edward V soon led the duke to arrest the Woodvilles and gain possession of Edward and his younger brother, Richard. 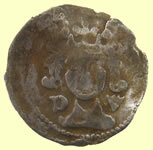 The two princes were housed in the Tower of London, then a royal residence as well as a prison. 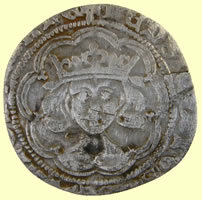 Edward V's brief reign came to an end on 26 June, when parliament accepted Gloucester's claim that Edward IV's marriage was invalid and his children illegitimate. 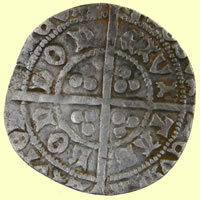 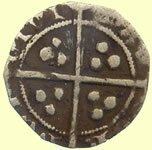 It proclaimed Gloucester Richard III and, soon afterwards, the two princes disappeared from the Tower. 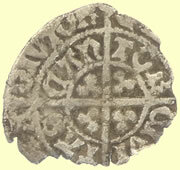 It is possible they were murdered by Richard's agents in August 1483, but responsibility for the crime has also been attributed to Henry Stafford, Duke of Buckingham, and to Richard's successor, Henry VII. 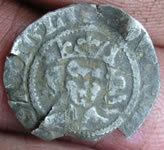 Skeletons found in the Tower in 1674 are thought to be those of Edward and his brother.